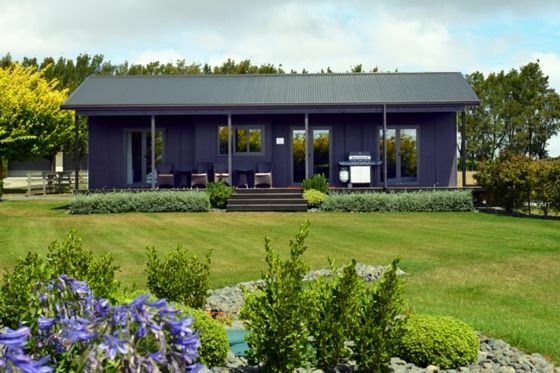 Tuki Tuki Cottages are set in a peaceful and tranquil setting surrounded by vines, orchards and passing cycle tracks and are conveniently located . 10mins. from Cape Kidnappers, 15 mins from Napier, Hastings and Havelock North. Excellent Wineries and Restaurants 5-15 mins drive away.Many local attractions and beaches close by. Golf courses at Cape Kidnappers, Bridge Pa, Napier to name a few. Excellent trout Fishing on the Tuki Tuki River. Basic Provisions provided. Fresh Local Flowers, Fruit and a bottle of Wine on arrival. Cottages have Large screen TV's in the lounge and bedrooms, CD/Ipod system, Bluray player,Free WiFi, Iron, Ironing board,hairdryers,other useful appliances. Kitchens are fully fitted,Dishwasher, Fridge/Freezer, full gas hob, Combined Microwave/grill/oven and steamer. NESPRESSO COFFEE MACHINE. Syrah Cottage is suitable for the Elderly or Disabled. Laundry Facility's available on site. 2 nights minimum booking at weekends only. Reduced rates for 4 nights stay. NZ Holiday weekends, Easter Christmas and New Year have longer minimum stays... and discounts don't apply. and follow us on Facebook . Central location for Golf, Walking,Cycling, Beaches, Shopping,Arts, Wineries and Restaurants. One of two modern cottages on the property. One of two modern cottages on the property. It was excellently furnished and equipped, kept very clean, and was comfortable with everything we could think of provided. Syrah Cottage was a wonderful place to stay as a base for a bit of an explore around Hawkes Bay, it was well equipped with everything we needed and more, and the neighbours (alpacas in the paddock next door) were enjoyed by our children! Excellent property for two couples. Excellent property for two couples. Very clean and tidy. Perfect location as central to everywhere we went.